There are so many choices out there for puppy collars! What should you get??? STAY AWAY from PINCH collars, and Choke Chains. 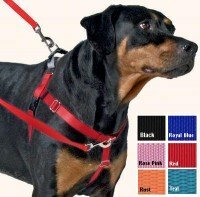 On medium and large dogs I like martingale collars and head collars known as Haltis.